so I could make more Valentines. Truth is, I only make a Valentine card for my husband and my daughter. The two people I love the most. 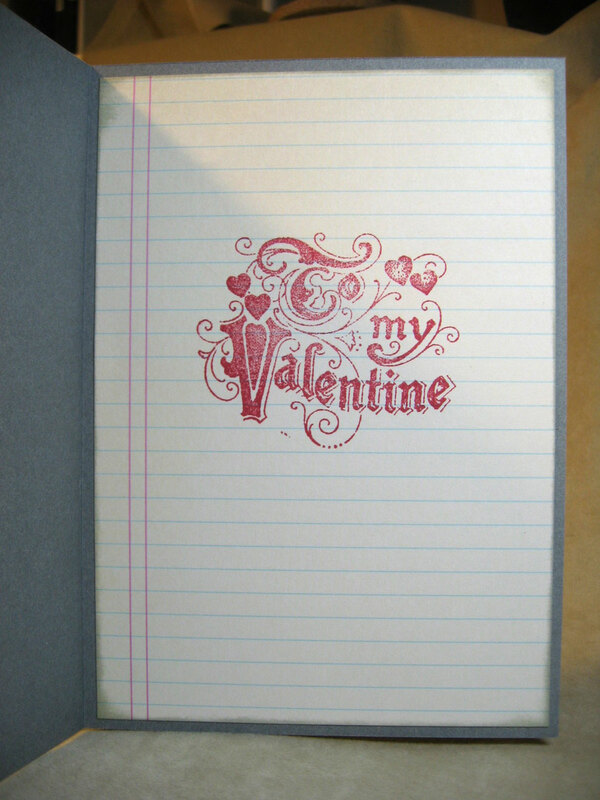 I do love lots of people, but just don't seem to take the time to make Valentines for them. Maybe next year when I have more time. 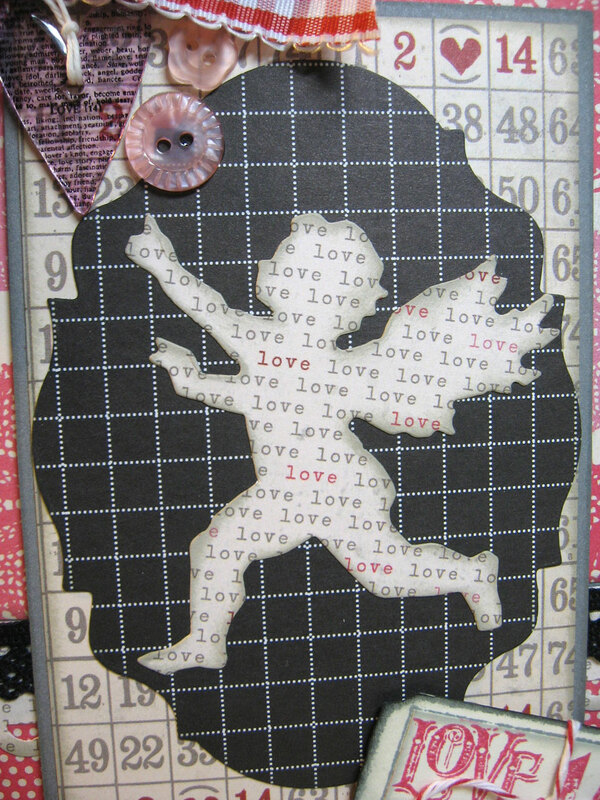 This is a totally Tim-inspired Valentine (Tim Holtz, of course) using some of his newest stamps and dies. 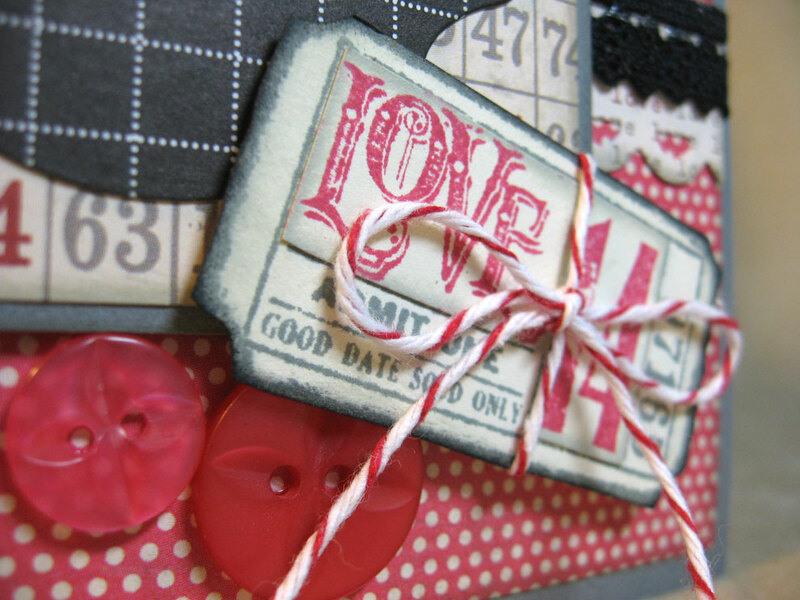 This ticket is from Tim's Stamper's Anonymous set "Love Struck." 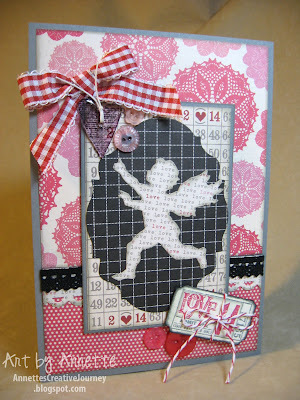 I stamped in two colors and pieced them together. This is a shrink charm made from Shrinky Dinks and UTEE. (See my earlier post on how I made these.) 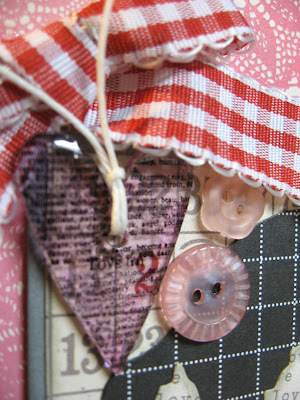 The stamped words on the shrunken heart is also from "Love Struck". The heart itself was cut from Shrinky Dink plastic and the "Love Struck" Alterations die. (how did I ever not realize that these things all have the same name until now?) I won this die from Tim himself last month along with a box full of other goodies! The buttons and ribbon and waxy flax are from Close To My Heart. This sweet cherub silhouette comes from the "Mini Love Struck" Movers & Shapers Alterations die. 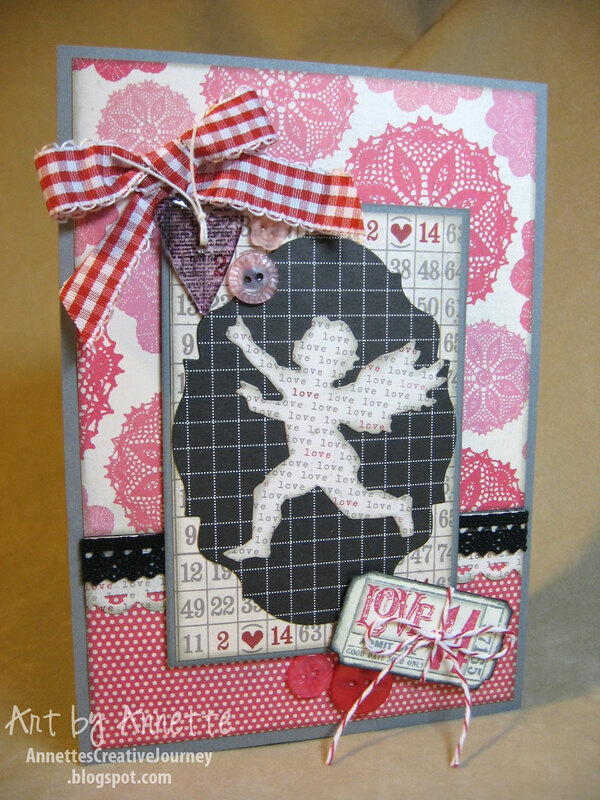 And the black graph paper die cut is from another die I won from Tim "Mini Baroque" which is also a Mover & Shaper. 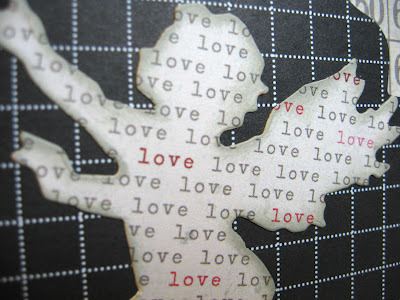 Again, from the "Love Struck" stamp set is this pretty one for the inside of my card. Thank you for stopping by today. I'll have more sweet Valentine goodies to share over the next couple of days, so be sure to come back and see me. Really lovely Annette! My bff in Wa does Valentines every year instead of Christmas cards......I may do that sometime too! Fun! Oh and by the way, the secret code I have to type in to get this to go on your blog this morning is ditsy!.....didn't know blogspot was prophetic!!! !